Hugh Jackman wants you to put your phone on silent when you see his show. Hugh Jackman knows how to stop the show. He did it recently when a cell phone call interrupted a preview performance of "A Steady Rain," the Broadway play that stars Jackman and Daniel Craig. The moment captured on an amateur videotape shown by the TMZ.com appears to have been recorded by someone in the audience. It shows Jackman breaking character to tell the owner of the ringing cell phone, "You want to get that?" as the audience erupts in cheers. As the ringing persists, Jackman pleads: "Come on, just turn it off." He then paces the stage of the Gerald Schoenfeld Theatre, waits about a minute for the ringing to stop and the play resumes. Producers of "A Steady Rain" could not immediately be reached for comment Monday. The interruption occurred during an intense moment in the play, when Jackman's character, a Chicago policeman, reveals haunting memories. box-office winner, playing to capacity audiences since it began previews on Sept. 10. 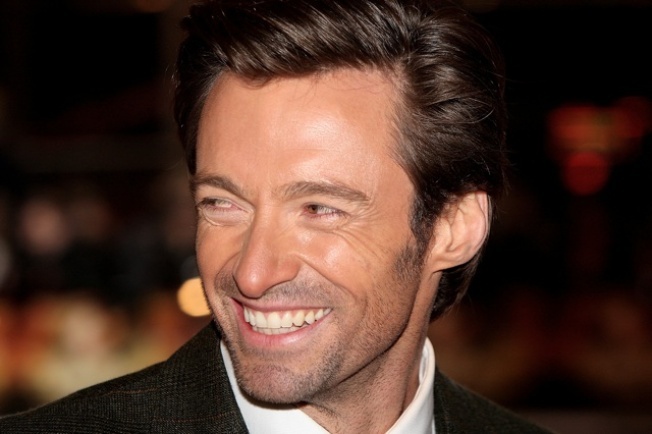 Jackman won a Tony Award in 2004 for his performance as Peter Allen in the musical "The Boy from Oz." Craig, filmdom's latest James Bond, is making his Broadway debut.